VLADIVOSTOK. 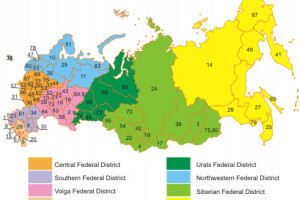 Sept 10 (Interfax) – The regional elections in Russia on September 9 passed appropriately and without serious irregularities, even though there might have been some minor imperfections, Russian President Vladimir Putin said. “On the whole, the election campaign passed decently and orderly, with quite a high voter turnout, perhaps with some minor imperfections,” Putin said at a State Council presidium meeting in Vladivostok on Monday. No serious irregularities in the elections have been recorded so far, Putin said. “Perhaps there might have been some minor flaws. Certainly, this needs to be addressed. We’ll do that,” Putin said. For the newly-elected governors and lawmakers, the win in the elections is a serious step in their lives and careers, he said. “This is certainly a carte blanche from our citizens to develop regions, municipalities, and the country as a whole,” he said. Putin thanked Russian voters for active involvement in the campaign and manifestation of their civic position.